What do culture and tradition mean? Culture is the totality of the material, intellectual and technical achievements that result from man's creative powers and abilities. Historically, this is reflected in the nature of social organization / structure and interaction (of a society) as well as in the creation of material and spiritual goods. Tradition is historically transmitted within a group or society and is passed on from one generation to another (behaviors, attitudes, ideas, customs, etc.). Human societies depend on their cultural skills for survival and satisfaction of needs. In order for tradition to be available, one generation must pass on their practices, norms, works, language and institutions to the next generation. This formation of tradition is to be found as an anthropological basic law in all human societies. But culture should not be solely based on tradition. It should unite two aspects: the preservation of tradition (conservative element) and the transformation or adaptation of culture to new historical and social situations (progressive element). Only if new circumstances are taken into account can culture unfold, tradition be handed down and a cultural memory be retained. The cultural heritage of Greece has evolved over thousands of years in which it has been exposed to many encounters with other peoples and foreign influences. Culture in Greece is an ongoing process that has developed diachronically through antiquity and the Byzantium to modern days, ever changing. Cultural and political influences from the southeast of Europe, but also from Western Europe and the Orient have contributed significantly to the emergence of Greek culture since antiquity: Antiquity, Roman Empire, Byzantium, Persian Empire, Ottoman Empire, Republic of Venice and Genoa or British Empire, are but a few examples of influences. Traces of a centuries-old and important history can be found in every corner of Greece: relics from the early history, unique and partly monumental works from antiquity, medieval and Byzantine cultural sites, folk works, along with traces of other cultures and religions. These elements co-exist or have combined in a diverse and multifaceted coexistence with modern works, buildings and works of art. Greece is a true paradise for cultural tourism. Visitors embark on a great journey through history and art. Educational trips, theatrical performances, festivals, pilgrimages, visits to archaeological sites, monuments and museums, nature exploration, folk culture and art are just a few aspects of cultural tourism that Greece has in store for interested visitors. The foundations of many sciences were developed in antiquity and have contributed significantly to the emergence of a European or Western culture. Whether in politics, philosophy, literature, history, physics, geometry, or fine and mechanical arts - in many areas the course was already laid in antiquity. The Acropolis, the Parthenon, Amphitheaters (for example, Epidaurus), Olympia, Delphi, palaces of Knossos, Vergina and countless finds and testimonies bear witness to this. Some of them are only partially preserved, others are exhibited in domestic and foreign museums. However, the cultural heritage is also evident in many medieval and Byzantine (especially churches and monasteries, but also fortifications and castles), but also Ottoman and Italian constructions and cultural works (for example, the old town of Rhodes Town). Folklore and modern elements, as well as postmodernism, have found their way into Greek culture. To see, hear and feel this you can visit countless exhibitions, cultural, music, theater and film festivals in which the cultural goods of Greece are presented in their original forms or in combination with modern or foreign elements. In Greece, old and new (modern) cultural elements, local and foreign elements are combined and reflected in tradition and its propagation. Regionally, many different traditions can be discerned. First, there are traditions traceable to the same basis and variations. On the other hand, there are still preserved, regionally specific traditions, found only in specific or certain regions. 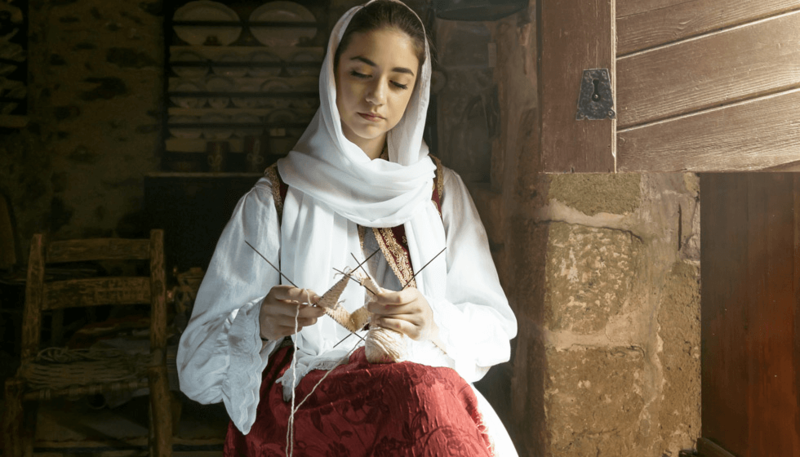 Traditional and "living" traditions and customs can be found everywhere in Greece. In general, each region (sometimes sub-regions) has its own costumes. The men's skirt "fustanella" is a traditional garment that was worn until the end of the 19th century in Greece. Gradually, the pleated skirt was replaced by pants. The fustanella has served since 1974 as a military uniform of the Presidential Guard. As a costume for festivals, the fustanella is worn especially in the regions of Epirus, Thessaly, Central Greece and the Peloponnese. But tradition does not stop at costumes: every region and every "tribe" in Greece is recognizable by their dances. Over 4,000 Greek dances have been handed down in time, danced by all age groups, especially at certain festivals. The musical accompaniment is often provided by handcrafted instruments and songs, differing by region. A major highlight in some regions of Greece is the carnival, which also marks the initiation of Lent at Easter. The stronghold of the Greek carnival is the city of Patras in the Peloponnese, with the carnival celebrations directly linked to the ancient Dionysus rites. The biggest Greek carnival consists of street parades and theater performances, balls and a huge party that covers the entire city. The carnival is also celebrated in Xanthi, where folk elements of various ethnic groups are united, taking into account the city’s multicultural aspects. Traditions of the most important religious festivals can be experienced throughout Greece. Whether it is food, pastries or traditional Christmas and New Year celebrations, these customs have evolved over many centuries and are still preserved today with subtle regional differences. For example, each day of the Holy Week hosts its own custom: on Easter Thursday, the red Easter eggs are dyed; the red color symbolizes the blood of Jesus Christ and his rebirth. In Patmos, the presumed place where John’s Revelation was written, making it one of the most important sites of the Greek Orthodox Church, the Last Supper of Jesus is presented during Mass. The immigration of other ethnic groups and contact with other cultural influences has transformed Greece into a diverse and colorful mosaic, in which there are many different traditions, customs and manners to discover in every respect: on national and religious holidays, through local and regional cuisines, dances and music, art and architecture, costumes and dialects.